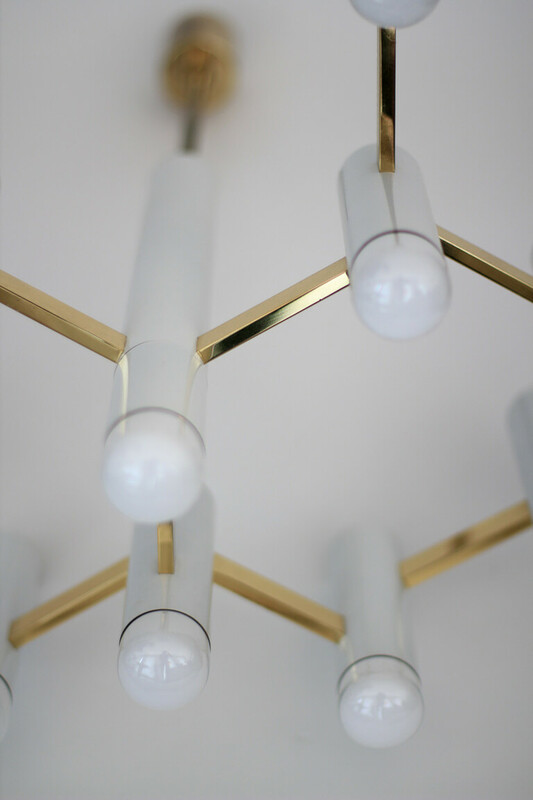 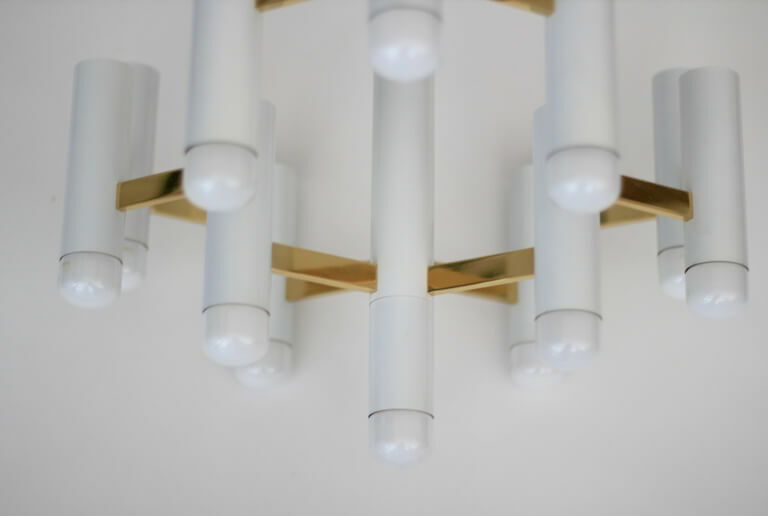 Sciolari Chandelier in the special color combination white and brass. 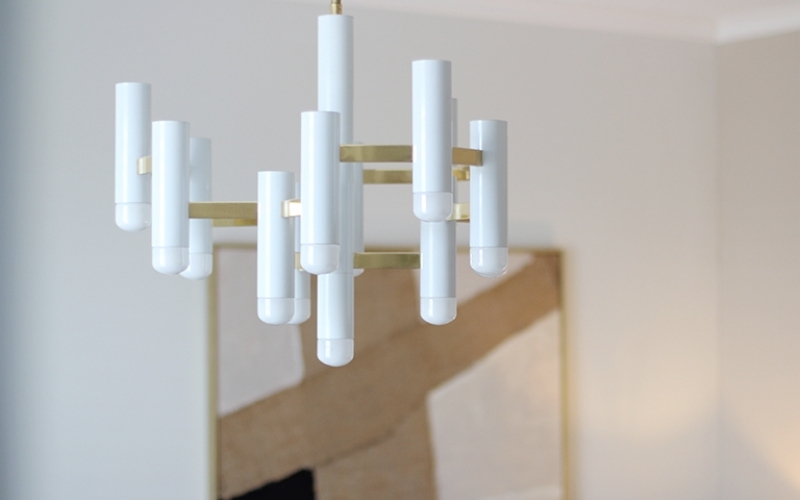 This chandelier is fabricated by S.A. Boulanger and a special anniversary edition. 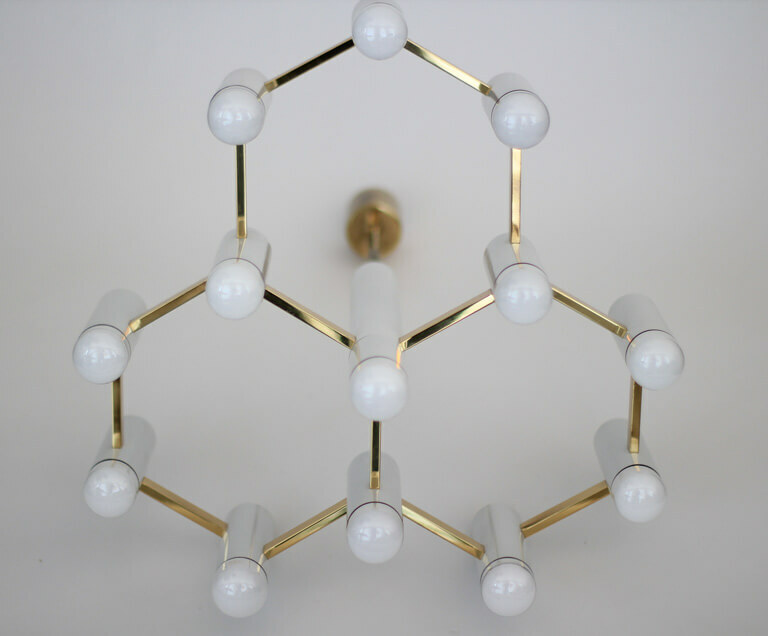 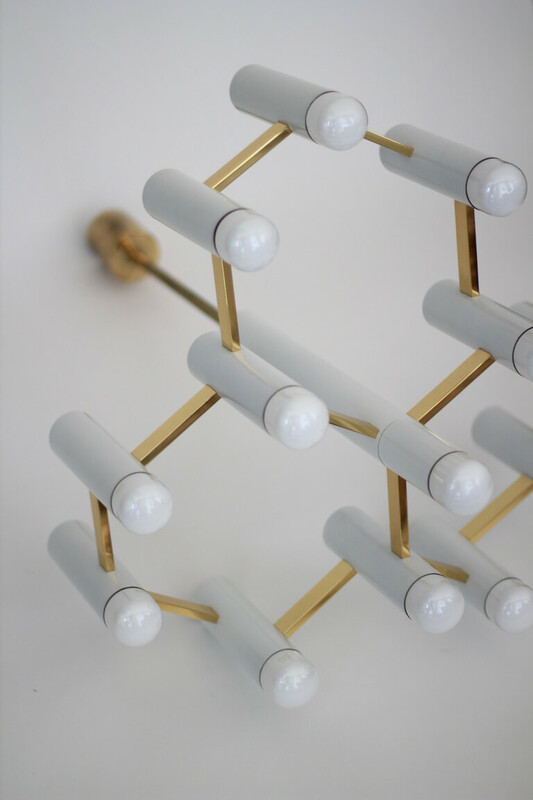 The Sciolari chandelier is constructed of white metal cylinders with 13 candelabra lights.